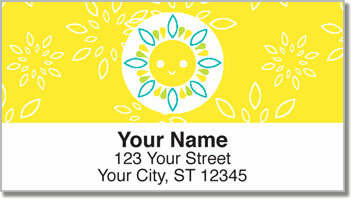 It's time to feel happy with these Cheery Day Address Labels featuring art from professional designer Stacy Peterson. Though Peterson left her day job to pursue licensing on her own (a day job which involved her regularly jetting back and forth between cities) she's managed to create an enormous amount of business for herself doing illustration for American Girl books and even working with Madonna. 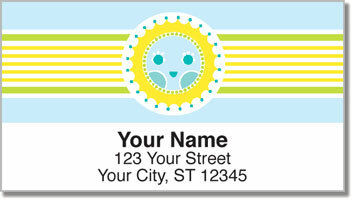 Her latest designs come on these labels. With bright shining faces showing her love of 60's and 70's era aesthetics, you're sure to love the clean lines and flat areas of color she uses. 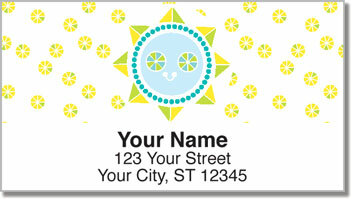 Simply peel and place for a personalized touch on your mail. 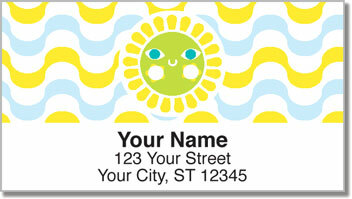 If you're feeling down, cheer up with these happy address labels. Order now and you'll get shipping absolutely free!